The allegations are contained in the just published annual report by the Visiting Committee for 2017. 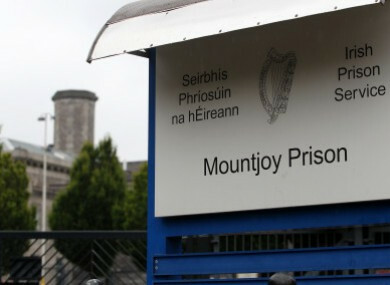 A NEW REPORT published by the Department of Justice is reporting allegations of “inappropriate relationships” between some women prisoners at the Dóchas centre in Dublin “and a small number of male staff”. The allegations are contained in the just published annual report by the Visiting Committee for 2017 for the country’s only dedicated women’s prison in the Mountjoy campus. On allegations against Dóchas staff, the authors state that “if it is found that the behaviour of any prison officer, male or female, towards these women does not measure up to the highest professional standards demanded there is a clear duty on management, the Prison Service or other appropriate agency to take the necessary action”. Pointing out that the female inmates at Dóchas “are among the most vulnerable cohort in society”, the authors state that “if the appropriate action is not taken or is inadequate, something is radically wrong”. The authors state that where an allegation of inappropriate conduct is made against prison staff “we believe that as a matter of course these investigations should be conducted by external investigators who are unconnected with the prison service”. The publication of the report follows the Irish Prison Service launching a probe in November 2017 into suspicions that 34-year-old killer, ‘Scissor Sister’ murderer Charlotte Mulhall was involved in an inappropriate relationship with a male staff member after he was found in the en-suite bathroom of her accommodation in the Dóchas Centre women’s prison. Elsewhere in the 2017 Visiting Committee report, the authors hit out at the continued over-crowding at the Dochas centre. They state that “the numbers in Dóchas continue to rise and have reached well into the 130s during 2017. With a total capacity of 105, this is unacceptable over-crowding and a very serious strain on resources. It forces ‘doubling-up’, the use of bunk beds in small rooms and the use of recreation rooms as sleeping quarters often with four beds to a room”. The authors of the report also state that Dóchas requires urgent works to the building stating that the centre is in need of an urgent upgrade. The authors also state that “it continues to be a matter of concern that despite constant monitoring, drugs remain a serious problem within Dóchas”. On the allegations of inappropriate relationships between women prisoners and a small number of male staff at Dochas, a spokesman for the Prison Officers Association (POA) said that it is POA policy not to make any comment on such matters where disciplinary processes may be ongoing. The Irish Prison Service has been asked to comment on the contents of the Visiting Committee report, including the reported allegations of ‘inappropriate relationships’ between women prisoners and the small number of male staff but has yet to reply. Email “Allegations of 'inappropriate relationships' between female inmates and prison officers, new report finds”. Feedback on “Allegations of 'inappropriate relationships' between female inmates and prison officers, new report finds”.